Everyday we strive to protect our territory with concrete, tangible and shared gestures. When you deeply love something you should defend it. Our cartons with which we carry Pezzullo pasta are ecological because they are made recycling the paper of the separate collection made by Campania’s citizens and companies. The secondary pack is the product of a circular and sustainable economy. 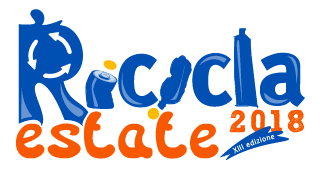 Pezzullo supports Legambiente Campania’s project: RiciclaEstate (Recycle Summer). It’s a project to engage and sensitize the community on the importance of recycling, reducing, reusing and recover in order to improve the quality of our territory respecting its natural beauty. We believe in the importance of passing on the values of our tradition, made of simple, genuine things and unique ingredients. For this reason a team of expert and enthusiastic chefs from Cilento (a beautiful area in Campania) will modernize historical recipes, of course with Pezzullo pasta.